The Christmas of patriots — those who lived before, during and just after the American Revolution — was no small event. Historians like to say that Christmas in America wasn’t a thing. But don’t ask these patriots; they loved Christmas. Who are these patriots? They are John Adams, Ben Franklin and Thomas Jefferson. Each came from a different part of the Colonies. Each had unique thoughts of not only what America should be and what it could become. And each of them celebrated Christmas. 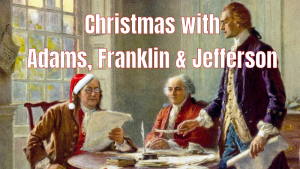 In this merry episode we take a seasonal patriotic look at Christmas in the Colonies as modeled by these greatest of American patriots. Adams was a child and grandson of Puritan America. Surely he “hated” Christmas, eh? Surely he dismissed it as the Puritans did, right? No, he celebrated it just as they did — as families. Puritans, you see, didn’t outlaw Christmas altogether. They outlawed the raucous Christmas of England in the 1600s. The Puritans, though, were Christians of the first order. And they DID celebrate Christmas. The Adams family Christmas was actually prototpyical of families all over New England and their traditions were born of the generations who came before. Thomas Jefferson was a Southerner and he celebrated Christmas like a Southerner. That is to say — hugely. The more the merrier, in fact. Jefferson was something of a Christmas ground breaker. He gave gifts to his loved one long before it became an American tradition. Benjamin Franklin not only declared Christmas his most festive day he also documented it as a widely held event for all Americans. He WAS the media of his day. 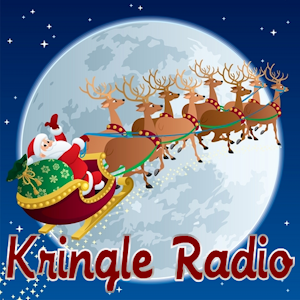 In this episode we tell of a famous Christmas experiment of electricity the eccentric Franklin took up with his feast of turkey — a tale you’ve likely never heard before. You will not want to miss the Patriot Christmas.